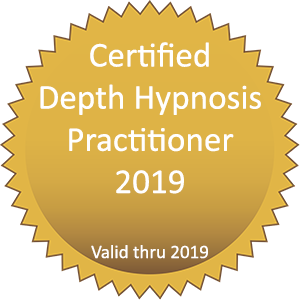 This page contains a complete list of certified Depth Hypnosis Practitioners. Practitioners renew their status yearly and are required to maintain certain standards of study and personal development in order to be in good standing as a Practitioner with the ADHP. Practitioners will display the ADHP certification emblem (with current year) on their websites to indicate their certification is current and they have met all the requirements to be in good standing. Many practitioners work from more than one location and if you don’t see someone in your area, most Practitioners also work via telephone and Skype.